Yogasmith | Mini Healing Sessions AMESBURY! 27 Feb Mini Healing Sessions AMESBURY! This FRIDAY and SATURDAY! 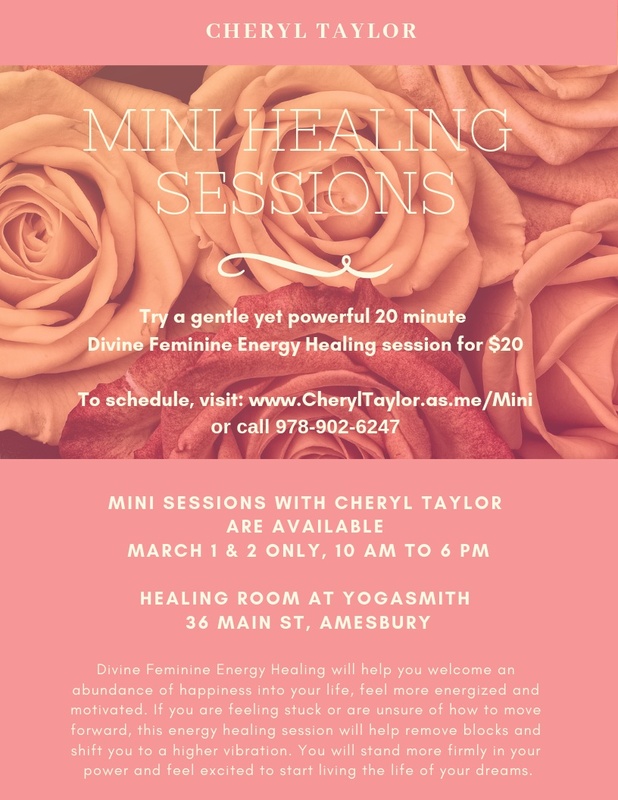 Schedule a 20 minute mini healing session with Cherly Taylor of Devine Feminine Energy Healing for only $20! She has opened her space at our Amesbury studio and we are excited to provide this additional healing space for our members and non-members! Call Cheryl at 978-902-6247 to schedule your appointment this Friday or Saturday!